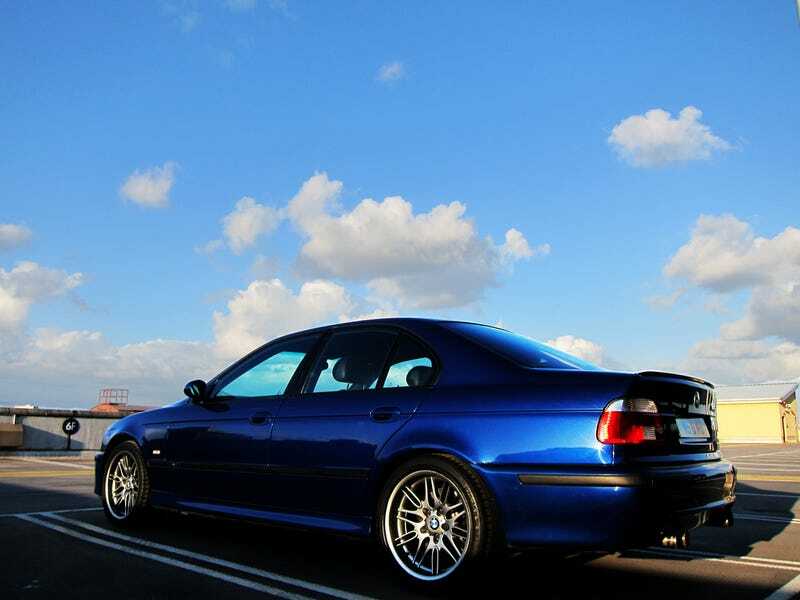 So I've made the decision and know exactly what I want: a 2001-2003 M5, LeMans Blue, under 120K, and relatively unmolested for $16K or less (could go up a few thousand for a really primo example). Problem is, I only found one nearby, which I'm going to check it out this afternoon, but I already have a few concerns from the CL posting. Why aren't more people selling the exact car I want, when I want it?! WHY?! I wouldn't have a big problem searching outside of SoCal (NorCal, Las Vegas, and AZ would be acceptable), but I need to have a reputable shop near the car (who knows M5s well) that can give it a once-over before I fork over a big chunk of money. Keep an eye out for me, will ya? [UPDATE] Just checked out the ONE LeMans Blue M5 in San Diego, and as I suspected, rode hard and put away wet. Looks like it had been in an accident or two, all the interior trim needed replacing, steering wheel completely cracked, rear sun shades didn't retract (others falling in the windows). Even if the motor/trans were in solid shape, for me it's a $10-11K car.